The best of what Colorado has to offer is right here in Evergreen. 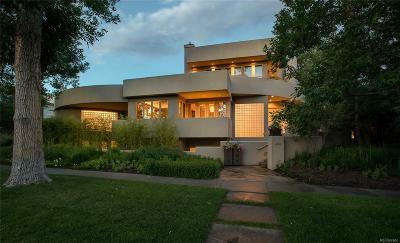 Nature lovers and city dwellers would agree that Evergreen has the best of both worlds. During the day, you will find people hiking and biking along the trails of the six parks in Evergreen. 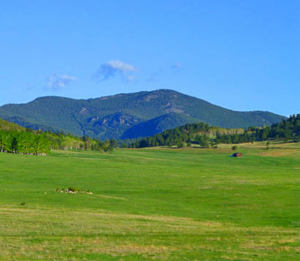 If you’re looking for beautiful 360-degree views of the nearby Rocky Mountains, then you must visit two of the best parks in Evergreen—Elk Meadow and Three Sisters. Be on the lookout for more than views; the chances of encountering wildlife are pretty good. Elk, foxes, raccoons, bears, coyotes, and mountain lions all reside in these parks, and we warn you to admire them only from a distance, as these animals are wildlife and you are in their territory. Just 40 minutes from Evergreen, Mount Evans is a popular mountain peak that nature enthusiasts and climbers seek. 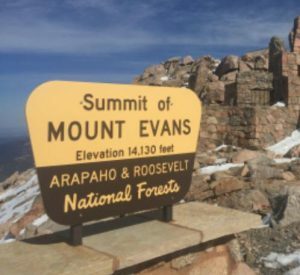 Climbing a Fourteener is a common bucket list item for Colorado residents, and Mount Evans is a great candidate because of its close proximity to Denver. If you consider yourself a camper, there are multiple campsites along the way to the summit. After your day spent exploring Evergreen’s scenery, you might want to enjoy live music, good food and drinks, and maybe some fun arcade games. Sound about right? 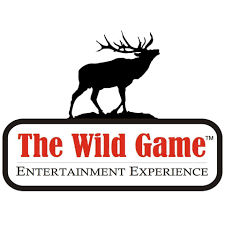 If so, then head over to The Wild Game for the ultimate entertainment experience, with or without the kids. The Wild Game is a fun place for people of all ages. Plenty of things to do for kiddos and adults! 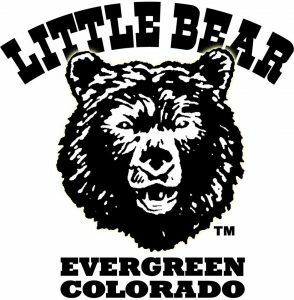 If you’re looking to take in the full history of downtown Evergreen, The Little Bear Saloon should be at the top of your list. This bar is as western, rustic, and authentic as it gets, featuring swinging saloon doors, antique brass registers, wooden bar stools, vintage license plates, autographed posters, and forty years worth of Colorado nostalgia. Not to mention, the homemade pizza, bison burgers, and drinks won’t disappoint either. Evergreen is just as beautiful during the winter months as it is during the summer. If you’re planning a trip to Evergreen in December, January, or February, then give real ice skating a try on Evergreen Lake. When the lake freezes over, ice skaters, hockey players, and ice fishers all come out to play! The scenery isn’t bad to look at either. Not a fan of the cold? 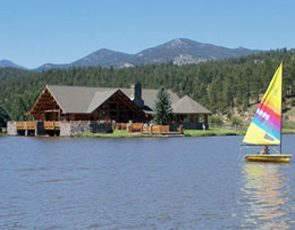 Be sure the visit Evergreen Lake during the summer for memorable kayaking, fishing, and breathtaking views. After you visit Evergreen, you’ll want to move here, and when you decide to buy a home in Evergreen, contact Orson Hill Realty. We specialize in luxury real estate in Evergreen, and our real estate agents will help you find the best place for you to call home. 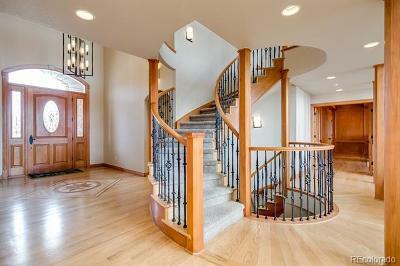 Check out the current homes for sale in Evergreen, and contact Orson Hill Realty today!